This is all very good advice. It might be time-consuming for an author who would rather be working on the next novel, but it’s mostly common sense and politeness. Both of these are vital for building relationships. It’s all part of the working day, isn’t it, April? One way that helps is to become familiar with the blogs ages before, by following, retweeting and actually reading – but it’s amazing the amount of writers who think it is their write to get attention, simply because they’ve written a book! It’s certainly part of my working day, Terry. I wouldn’t walk up to a stranger in the street and ask them to review my book and I wouldn’t do the same online. Having said that, I do appreciate that I will still be a stranger to some bloggers when I approach them, despite reading their blogs and commenting. I gather that agents and publishers have a similar problem …. (not with a finished book)…and then get stroppy letters when they reject a writer’s work. The worst writers are always the stroppiest….! You have nailed it! I think few authors, especially new authors doing their own promotion, realise how many requests bloggers receive on a daily basis. Badly worded requests for books that aren’t my preferred genre is my pet hate. I have also received requests with no synopsis just a sentence describing the book. However, I do try to respond to every request even if the answer is no. Thank you Cathy, yes I’ve seen plenty of poor requests, but I’d like to think this post might help. Great advice Rosie. Have printed this off and put to one side for future reference. More useful advice for writers – if you want reviews, here’s how to approach a book reviewer. Taken on board for myself, Rosie and one for all my students, Rosie. Thank you. 4, 6 and (7) are the ones that do it for me. Especially when I seemed to get a plethora of poorly written romances, which is not my favourite genre. So I’ve been closed to people I don’t know through my blog for some time now. I’ve reviewed a few from GR, but not all on my blog. It can be tough out there, but we all have busy lives and mine is too short to spend time on books I will not like. Many thanks I think several resonate with many reviewers. Although I’m not a book blogger who takes submissions, RSITM, as part of Rosie’s review team I am instantly put off by a poorly written blurb – the worst ones are the too-long paragraph giving an overview of the plot. If I’m not sure, I always go to Amazon to see if the writing style is any good. One bit of bad punctuation, and I’m gone. I comment on draft query letters/blurbs on GR. The number of people who insist on retelling the story, mentioning fifty characters, all in one endless paragraph, is unbelievable. It’s not difficult (well, apparently it is). Three short pars, what it’s about, what’s the goal, and what’s the challenge/obstruction to getting there. Easy. And don’t start all pars with subordinate clauses, and throw loads of passives around. No good writing a book if you can’t do the PR work afterwwards. Good advice, Rosie, even for those of us who both write and review. Sound advice. I think that often potential reviewers are bogged down with their own writing. I know this happens to me. I’d like to review every book that comes my way but I don’t have time yet. Great advice! I’m certainly becoming picky in accepting requests and am starting to not tolerate some things such as getting my name wrong or asking me to review a business book when I’ve closed my submissions and said I’d only consider favourite genres like fantasy!! I’ve also groaned when people have quoted other reviews. This book is ‘great’, ‘fantastic, or a ‘must-read’. I’ve taken on a book like that before only to find I didn’t enjoy it so much and who the quoted reviews are by I still have no idea, lol. Thank you, yes it’s time we helped improve standards in the industry. Very good advice, Rosie. You are one of the best and should know what drives reviewer’s crazy. Thanks. Some very good points here, Rosie, though a lot of it is down to courtesy and consideration. Perhaps having a solitary occupation, authors struggle with the social niceties (I know – I am one!). Thank you Graham. Oops Graeme! What was that about getting the names right? I do know what you mean about that, Graeme, but I think the main problem is that some writers get too wrapped up in themselves and start thinking the whole world revolves around them and their book! I don’t think Rosie’s list is about social niceties, I think it’s about having the savvy to present your book as well as possible to the reviewer. Just saying, as they say!! Now that I’m on the other side of the equation and getting review requests from people, it’s kind of opened my eyes. Time is a precious commodity and if something doesn’t look interesting, I have to politely decline. Still, I’ve read some interesting books I might never have found if someone hadn’t dropped them in my lap. A great post with some very sound advice. Thank you. Thank you, yes a little research can be very revealing. I also agree that a bit of naming and shaming might bring about a few more manners in the market place. We all want to get along in a pleasant way. It’s such a hard one. Trouble is, there is nothing to say that they HAVEN’T read it and didn’t think it was great. I always advise new writers to, yes, get reviews from family and friends first. I did, everyone does. But only ask those who have genuinely read and enjoyed it, and don’t tell them what to put, other than not to gush, or to think that they have to give it 5* if it’s not merited. When I self-pubbed my first, I’d been sending it out in instalments to friends. 8 of the 12 constantly hassled me for more, so they were the 8 I asked. Of those 8, 6 responded, and of those 6, 4 have carried on reading me, 6 years on. It’s how readership goes. Your reviews should reflect that – getting everyone you know with an Amazon account to say it’s the best book they’ve ever read is a BAD move! I came across this through following another author and am so glad I did. I have only approached a couple of people but I follow them on their media. It seems logical but I honestly think that some people don’t understand the whole ‘share media’ and we all benefit. You can’t ask what you are not prepared to give. Great blog thank you. Thank you Barbara, what a great saying to live by. Reblogged this on Carl Rackman. Rosie Amber’s recent post [Ten reasons your book is not getting reviewed (by #bookbloggers)], which I am reblogging today, has resonated with many reviewers and authors alike. As a very-early-stage-fiction-writer, I am guilty as charged of putting out a piece of work with errors and issues. And I regret that. Bitterly. Luckily, on the feedback of reviewers, for which I’m immensely grateful, I have formatted and fixed numerous mistakes in my published (gulp) work. I was lucky; such feedback is totally outside the remit of a reviewer and is completely unacceptable from a submitting ‘author’. However… I would ask reviewers, the majority of whom have written and released books, to cast their minds back to the beginning of their own self-publishing journey. You are a wife, a father or maybe a well-known member of a small community. You’re writing a little something outside your stereotype. And, perhaps, you’d prefer to write incognito, either because of your subject matter or simply through lack of confidence. So, who do you tell? No one. In this case, getting reviews is tough. No friends and family to bounce off. No feedback before you begin your journey (yes, I tried writers’ forums, where everyone will assure you that you’re brilliant, assuming you reciprocate with a similar sentiment…). 2) reviewers of my genre in print form – I have been in touch with some wonderful people who define themselves as ‘dinosaurs’ and only read something if it is ‘printed on a dead tree’. Yet, they provided valuable feedback on my novella and some even reviewed it on Amazon – a first for them, and consequently, I hope they will start reviewing other works on the platform. It is far too easy for all of us (myself included) to regard reviews as solicited without understanding the time and pain gone through to obtaining them. I approached people by emphasising I would appreciate their honest and impartial feedback, nothing more. If my writing is a complete waste of time, it is far better I know immediately than trying to push on in a genre/style that simply doesn’t work for me. I have lots of other things to be getting on with if that’s the case! So, to reviewers everywhere, I offer a heartfelt thank you for your time, effort and knowledge. It take real guts to review honestly and also to say, “no thanks, this book isn’t for me”. Without you, where would the Indie writing business be? But, please try to give the benefit of the doubt, even just occasionally; a misplaced comma, a typo, a review you’re suspicious of. Are they really the be-all-and-end-all? Or can you find a great story to lose yourself in? It is, after all, is what reading is all about. Could you please define “RBRT”? Thanks. 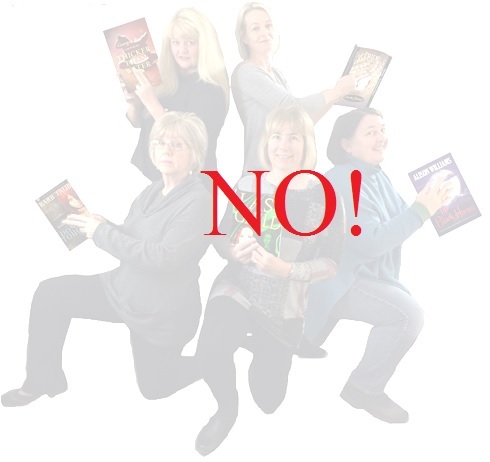 Rosie’s Book Review Team = RBRT, hope that helps? You make good points, but I think Rosie’s talking here not about one misplaced comma, or one dodgy looking review, but lots of them. Writers don’t have a right to be read, it’s up to them to make the reader want to open that book. If that means paying out for a proofreader, then it’s worth forking out – and yes, I, too, published stuff at the beginning of my career that wasn’t professionally proofread. As for the reviews, none at all look better than 10 one liners by people who’ve never reviewed another book and all say it’s fantastic. I agree about writers forums, etc – I only ever tried one, and found it full of, as you say, writers who told each other they were brilliant. I gave an honest critique once (because I thought that was what was required), and got all sorts of flak for it. I kept thinking, why are they all telling this girl she’s a brilliant writer, when she can hardly form a decent sentence??!! That was my first and only foray onto these sites! In an ideal world, yes, reviewers would take a chance, but the reality is that most are snowed under with requests, so will take only those that seem appealing. This corner of the internet has become more and more competitive over the last 5 years, and will only continue to be so. Thus, these guidelines. Incidentally, no, I don’t mind the odd typo, or even more than the odd one, when I’m reading a really great book. But I do mind lots, in a book that I’m struggling through! The reviewing world is a little like stepping through the looking glass. I never buy a book without reading a smattering of the reviews and now I can see the whole process from the other side of the coin. Sure, it’s a slow slog to get reviews ‘organically’ (by this I mean from readers who have found your book via keywords/publicity etc rather than reviewers that you have individually approached) but, as you reiterate, it is not a good look to have the ‘10 one-liners’. I would think that everyone can see through that caper. Where do those reviews come from?! My favourites are the 30 five-star one-liners followed by the poor chap (for example ;)) who bought the book, gave it one-star and now wonders whether he is living on another planet! Also, I appreciate many of my favourite books have a smattering of five-star and one-star reviews – great when I can see that they are well-written and honest comments that relate to the tastes of the reader (sometimes they are quality entertainment in themselves! ).